Home > Ask Our Experts > Small Spots on Eyelids: How Can They Be Removed? I have had small raised lumps/spots on my eyelids and under each eye for some years. They cause no pain. They feel quite pronounced and look lighter in colour, there are a few with white tops all clusted together. I did read these could be hard skin pushed in to soft when washing. Have you any idea how to reduce them or remove them? Hello and thank you for your questions, the good news is that from your description it sounds like these are the type of lumps or patches that are quite common but do often alarm people at first. It is almost certain that these are the harmless white or yellow bumps that appear often as a result of lipid collection or high cholesterol. This does not mean that your blood cholesterol level is necessarily high (though it may be and might be worth getting checked with a simple blood test), as many people who have these lumps have had a cholesterol check and have found their levels to be perfectly healthy. 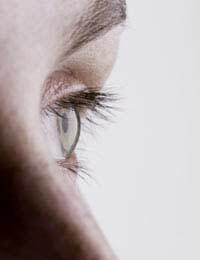 The lumps usually appear because of a collection of fatty cells in the eyelids and can occur equally in both the upper lid and the lower lid, often both. Unfortunately, if this is the problem there is no simple solution. Many people have tried and failed to find creams, lotions and potions to treat the patches to no avail. Massage may help but you must be extremely careful when massaging around the eye area as the tissues and blood vessels associated are very delicate and more at risk of damage than other areas. Your doctor may recommend surgery to try and remove the lumps by making a small incision through which the white lump can be removed. This may leave some very minor scarring, but many surgeons now use techniques that mean the scars cannot be seen. However this does not mean that the problem won't recur and cause the same problems in the future and a second lot of surgery may not be feasible. If this does not sound like the problem, you may have some form of cyst in the eyelid, though these are usually easily distinguishable and feel like fluid filled bags that can be moved around slightly when touched. It is always best to get these things checked out with your doctor to put your mind at rest and also to make sure there are no new solutions that may be suitable for you to try. Good luck and do let us know if you find a suitable cure for the problem. I have a small yellowish thing on my right upper lid under my eye lashes it came out of no where literally wasnt there then 3 seconds later it was. Its not zit like its hard. Its at first felt like i had something in my eye now i dont notice it and this happened like 10 minutes ago. What could it be. I sent my mom whos an ex nurse she suggested a sty. I have a white spot on my right eye andI wonder how will it beremove? winnie i also have the same problem can you tell me whch bio oil were you using please. I Have dark spot on my eyes from last month. I also check my chalostrol report but this is normal. I am very harrash. isthere any sollution tell me. @Sandra - you can either follow the advice given in the article, or as suggested if you're not sure what the marks are, it might be worth a trip to your GP. I woke up one morning and I had white patches on top and bottom of both eyes. My cholesterol levels are fine. What do I do to get rid of it , I'm so embarred. Please I'm looking for a solution. @John - you don't describe what the marks are like. However, it would be best to visit your GP and see if there is any advice he/she can give. I had acid treatment at a private clinic. It seemed to do the trick for 6 months but now they are back again with a vengeance. I have now started my own treatment of bio oil every morning and night. The unsightly menaces are now flat after just 4 weeks. I am currently giving my skin a rest for a week then continuing my treatment of bio oil messaging in with finger tips above my eyelid and below my eyes. I had some cholesterol spots on my eyelids and beneath the eyes.My cholesterol level is normal.I have got the spots removed by a doctor who has used a machine to do the job.since then two months have passed, but the post-opeation white spots on top and beneath the eyes are still there.these are really worrysome as some people think it as a white patch.As I do not wear a spec and have pinkish fair complexion, these are very much visible. I have tried cucumber or grated potato juice, but of no help.What do I do to get back the normal colour of my skin? I Have A Yellowish Spot At My Eyelid Jus 1 Only. At My Left Eye Its A Bit Itch How To Cure/Remove It?